The Delaware River Basin Commission (DRBC) released draft regulations late last year that, if enacted, would ban high volume hydraulic fracturing within the basin. But what evidence is the DRBC using to justify its proposed fracking ban? Your guess is as good as ours, but the DRBC certainly isn’t basing its rationale on the continuous monitoring conducted right next door in the Susquehanna River Basin (SRB) – which just so happens to have the highest level of shale development in the Commonwealth. 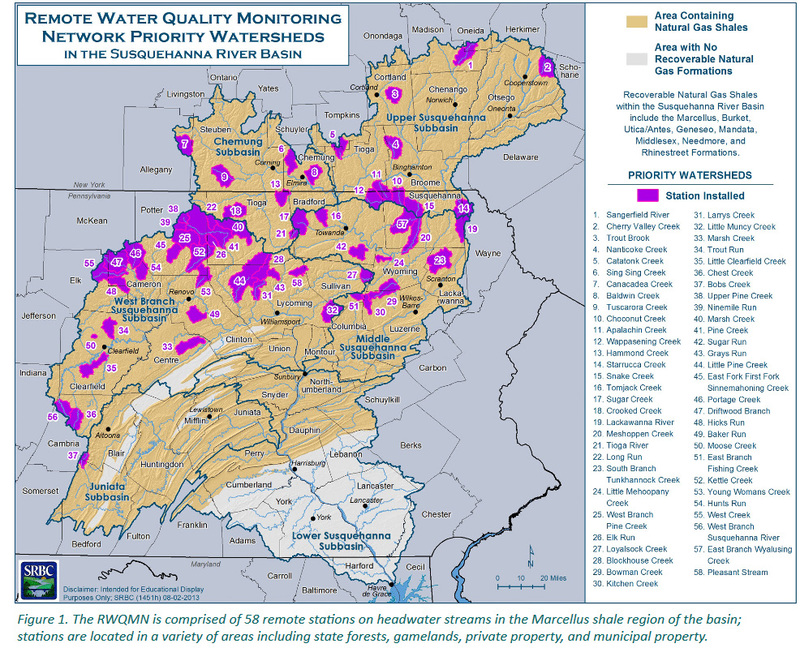 The Susquehanna River Basin Commission (SRBC) – which, unlike the DRBC, hasn’t tried to exceed its authority, and thus has seen thousands of wells drilled within its river basin – has seen no “discernable impacts” from fracking during continuous monitoring of headwater streams. The DRBC is represented by Pennsylvania, New York, New Jersey, Delaware and the United States Army Corp of Engineers. Only two counties, Wayne and Pike, in Pennsylvania’s portion of the Delaware River Basin are thought to have the potential for viable Marcellus Shale development. 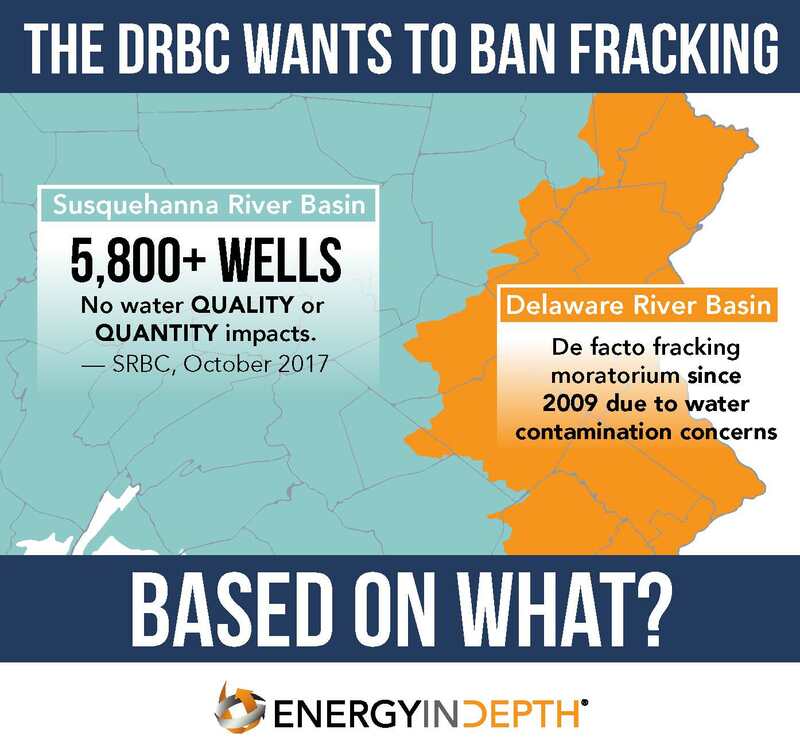 The DRB has been under a de facto fracking moratorium since 2009, when DRBC draft regulations were first proposed, that has halted both shale development and water withdrawals for shale development. The SRBC is represented by Pennsylvania, New York, Maryland and the U.S. Army Corp of Engineers. 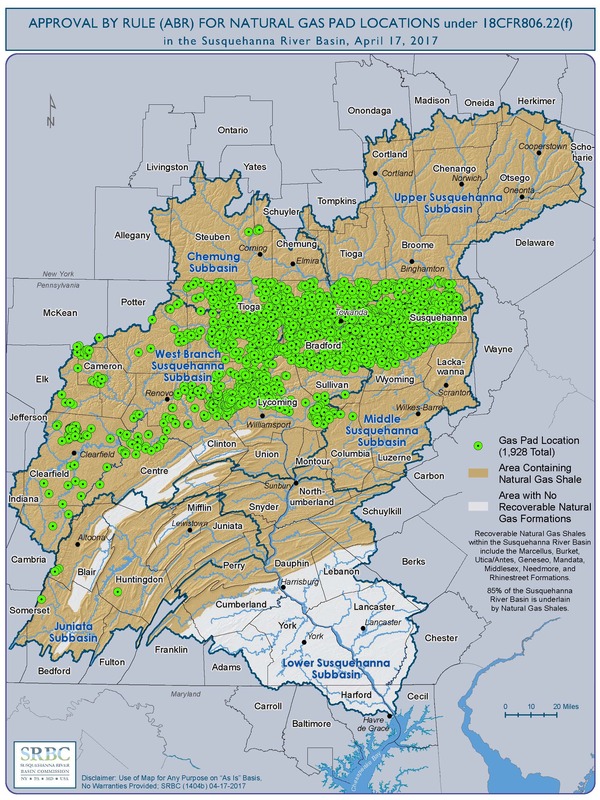 The Marcellus Shale stretches across 85 percent of the SRB. 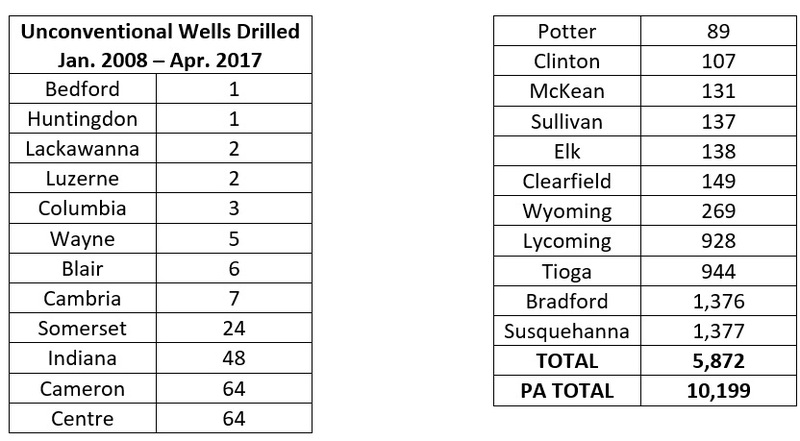 As of April 2017, there have been 1,928 well pads built in the SRB and roughly 5,800 wells drilled in counties within the Basin. That’s more than half of all of the unconventional wells drilled in the state from 2008 to April 2017. What’s happened to the water in the heavily-drilled SRB? According to the DRBC’s draft regulations, the Commission says that fracking “poses significant, immediate and long-term risks” to the Basin. The SRB, where more than half of all shale well development in Pennsylvania has occurred and where the SRBC has a nearly identical compact as the DRBC, would seem like the most logical place to look to determine if this is in fact a true assessment. And yet, there’s no way the DRBC could have come to this conclusion based on what’s occurred in the SRB. According to the SRBC’s February 2017 fact sheet on shale development, an average of 4.3 million gallons of water is used to complete each well developed in the Basin, with roughly 3.6 million gallons (84 percent) of that comprised of “fresh” water from the Basin and the remaining 16 percent being recycled flowback water. And while this amount may sound like a substantial amount, and is far more than the 300,000-gallon threshold per well the DRBC wants to ban, it accounts for only about 12 percent of the total water consumed in the Basin, according to a 2016 SRBC study. 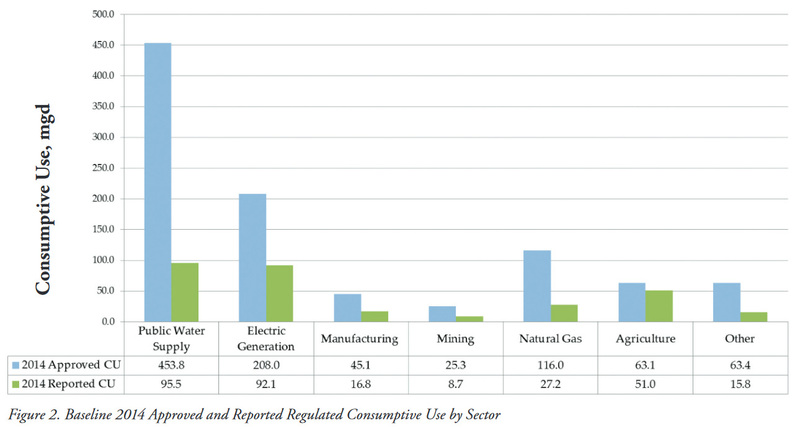 Even at an average consumption 1,300 percent greater than what the DRBC is willing to allow per well, high volume hydraulic fracturing has not hindered the water quantity of the Basin, leaving one to question what scientific basis the DRBC used to decide on a 300,000-gallon threshold. This isn’t a small sampling or a data set that only covers a short period of time, and is enough to give an impression of what impact – or lack of impact as it were – shale development is having on the Basin. 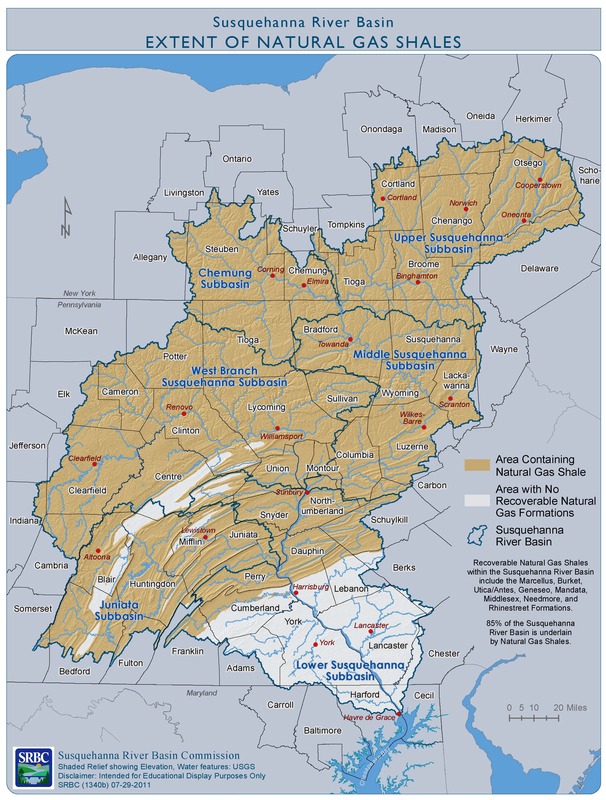 Had the DRBC, whose members states are nearly identical to those representing the SRBC, analyzed the data of its neighboring Basin where no “discernible impacts on the Basin’s water resources” have been found, there is no way that it could conclude that fracking “poses significant, immediate and long-term risks” to the Delaware River Basin.